Tonight Fiona & I watched” The Yes Men Fix the World” movie, whether you want to be more informed about global issues or you want to be entertained this movie will do it. I could give a quick synopsis of the story but it would just spoil all the surprises in store, suffice to say this movie highlight some of big issues we face in the world today. 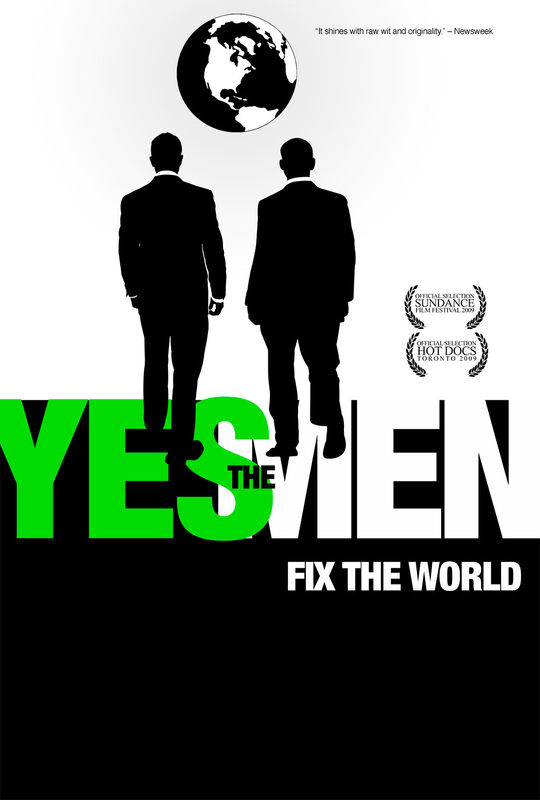 The movie shows us how “The Yes Men” go about highlighting these issues and brining them to a global audience. Get more information about “The Yes Men” from their website www.theyesmen.org I hope you download and enjoy the film. Thanks for the recommendation Steve! I just watched it on youtube… fantastic! I just ordered the fake new york times from their website too, can’t wait to get my hands on it!